Technology can be daunting, even with all the advances we have made. One of the most important things technology has brought us is a simplified and rapid means of communication, but sometimes, one form is incompatible with another. In instances like this, we find ourselves needing to adapt to the situation. One such instance is finding a file labeled “winmail.dat” attached to our email. What is it, and how do we read it? To begin with, the winmail.dat occurs when an email is sent via an improperly configured Outlook email app due to the use of rich text format within a transport neutral encapsulation format. The OS X app does not recognize this format, and therefore it does not translate properly when sent through email. How Do I Read a Winmail.dat Attachment? Reading one is simple, as the email will possess a text-based version of the attachment, making the attachment itself null. However, if opening the attachment and viewing it in full is desired, there are a couple of ways to go about it. Installing a converter program would be the best course of action. 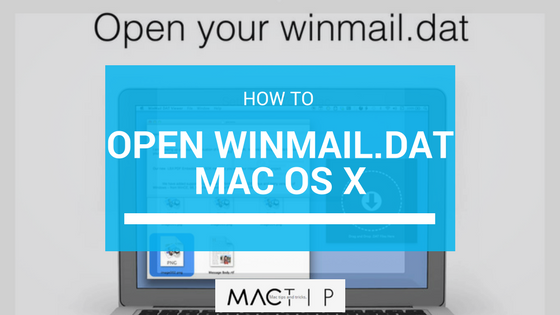 There are free converters that allow you to upload the winmail.dat file to be read on site, and the Mac App Store offers a conversion app (TNEF’s Enough) that will allow you to open the files on your Desktop. It’s a matter of personal convenience which method to use. Converter apps take up memory space on our devices, and sifting through online programs can become tedious. Understanding that an email with a winmail.dat attachment will have an accompanying simplified text can be beneficial. Simply put, it is not necessary to add any new programs to your device unless you absolutely want to or unless the file is needed for presentation. In that instance, any of the above solutions is worth a look. No recommendation of what free converter to use – it seems many of the “free” converter that you can download allow the programs to access all sorts of private data on your computer or install other elements on the computer. Which ones are safe?